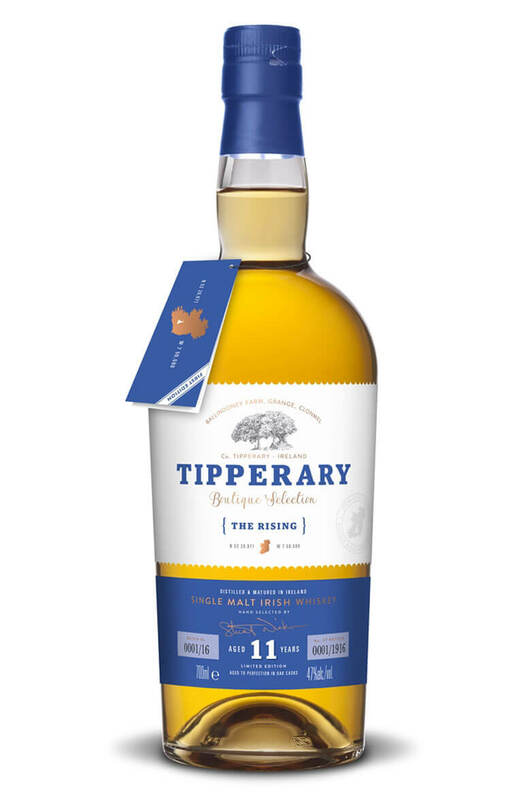 An eleven year old single malt bottled by the Tipperary Distillery. This was double distilled at an undisclosed Irish distillery and has been aged in ex-Bourbon barrels. Nose Bananas, pineapple and apricots with some touches of honey, vanilla and melon dusted with ginger. Palate Quite powerful at full strength with more of those tropical fruits from the nose. Warming touches of vanilla, pepper and toasted oak. The woodiness lingers on to the finish adding some tannins and a dry spiciness. Additional Information Small batch bottled from just 6 barrels.